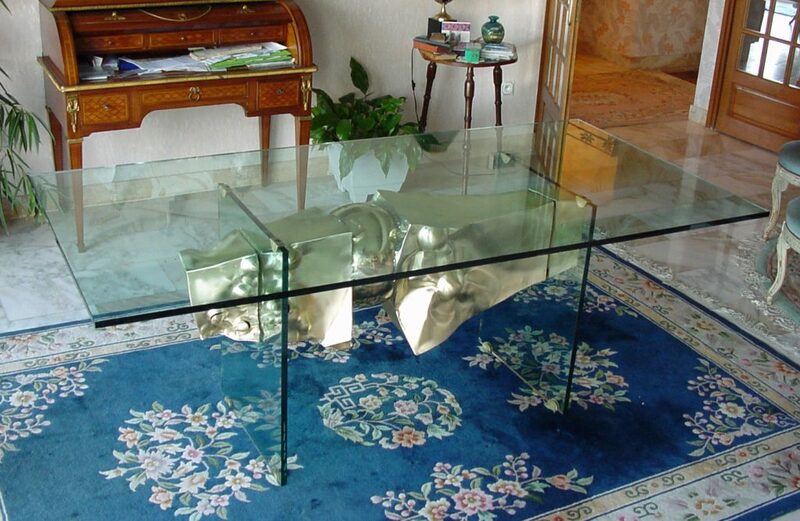 Furniture design by the artist, Alain Vuillemet are custom-made to completely adapted to your space. 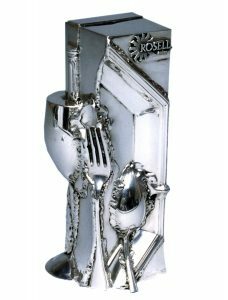 Art pieces, high-quality object design, one-of-a-kind or in limited edition. Rosell trophy for the agency Quadrillage and the one-of-a-kind dining table in glass and brass. Alain Vuillemet is for art lovers. He proposes furniture design that is realized in his workshop for high-quality work of art. The prices quoted here, are just indicative. Please don’t hesitate to ask for free-of-charge specifications. Other art objects: jewelry, snake bracelet, music stands, etc… Please ask us. For your communication, use an advertising object created by an artist. Order a personalized object at the image of your company. A sculpted object, unique or in multiple copies reflecting your image. A lasting sculpted object that your best clients will expose. Alain Vuillemet’s artworks are available for rental, on short or longer period.